Comfort Clean offers professional rug and carpet cleaning Mississauga for homeowners and businesses alike. You can count on us to deep clean your carpets, so they look and smell like new! Carpets are one of the things that make your business or residence stand out as they provide a warm and welcoming feeling. As well, they often pull together the look and feel of any room. However, due to heavy traffic from guests, family, children and even pets, your carpets can get dirty rather quickly. Comfort Clean is the known for quality and reliable carpet cleaning in Mississauga. With as many homes and businesses as there are in Mississauga, we take our services seriously. We use state the art equipment to thoroughly clean your carpets and rugs so your home or business is free of allergens and pollutants. Your carpets see a lot of action. As a business owner, you deal with people coming and going, from staff to clients to visitors. Your carpets tend to get dirty quickly, Sure, vacuuming will help keep them looking clean. But over time, dirt and debris will get trapped within the carpets. This can cause them to look worn and dirty. 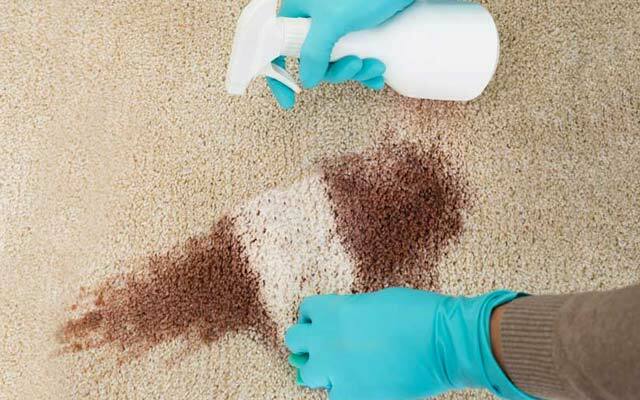 Our Mississauga carpet cleaning service will deep clean your carpets, so they look presentable. Homeowners deal with a lot of wear and tear on their carpets. From children to pets to guests, your carpets have seen a lot of spills and stains. You can count on our quality carpet cleaning to remove any stubborn spots and stains. At Comfort Clean, we use only eco-friendly cleaners so you do not have to worry about th environment. Nor do you have to worry about the safety of your children or pets. As well, all of our equipment is state of the art and modern. Our deep cleaning will rid your home of harmful allergen that can cause health problems for those who suffer from issues such as severe allergies, asthma or other respiratory problems. Your carpets will be restored to their former glory after we are finished. We will work hard to remove any stains or water damage so your carpets look and smell brand new. Make us part of your regular cleaning routine. Or call us before a big event such as a party or family get together for a deep and professional cleaning. Your satisfaction is our number one priority. We promise that you will be 100% satisfied with our services from start to finish. Whether it’s just one room, or your entire home, we will leave your home clean and free of harmful allergens! All of our carpet cleaning technicians are properly trained and experience in Carpet cleaning Mississauga. We hire only the best of the best. Our team is aware that different types of carpets need different cleaning. As well, every stain or spot needs to be cleaned differently. Our staff is very knowledgeable when it comes to discerning as to which method is most effective in each and every situation. We aim to meet and exceed our customer’s needs to yield remarkable results. Comfort Clean is known for providing the best cleaning services in Mississauga and the surrounding area. That’s why we offer the best price as well. We want our customers to call us for repeat business so we keep our rates reasonable. We will provide you with a beautiful, clean and healthy home at a great price. Call Comfort Clean for a free consultation and estimate for commercial and residential carpet cleaning Mississauga. We will leave your home squeaky clean from top to bottom!